National Novel Writing Month, commonly called NaNoWriMo, is an annual, month-long event, NaNoWriMo encourages would-be authors to develop and write a 50,000 novel in just 30 days. Not only is NaNoWriMo a good way for writers to get to know other people passionate about writing in their local area, as they can find writing meetups in their area, but it gives people an idea of the difficulty of the novel writing process. While it may be too late for most people to write a 50k word novel between mid-November and the end of the month, determining if NaNoWriMo is right for you next year is important for the planning and outlining process. It can also help when you are deciding if the time you put in is worth it, as many people may consider working with a professional manuscript editor once they have completed their review process. 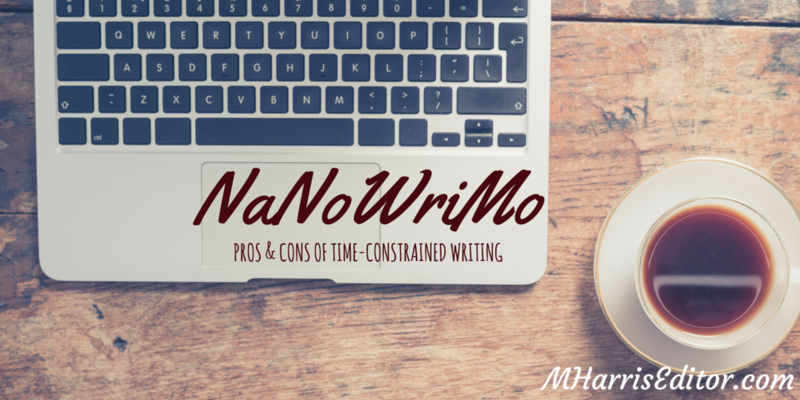 Below are the basic pros and cons writers must consider before taking on a time-intensive project like NaNoWriMo. Writing within NaNoWriMo’s time constraints forces you to think quickly and remained disciplined for the month. It becomes easier to develop daily writing habits as you go along, and you may keep practicing daily writing after the month ends. Being part of a community of writers can be rewarding, and many people become long-time friends with their fellow NaNo-ers. If you are the type of person who edits as you write, you will have a hard time participating in NaNoWriMo without letting go of perfectionism. Time-constrained writing may not result in quality plots and fully developed characters, so you may need to go back and build your story out fully. Most authors have a hard time justifying participation in NaNoWriMo because they take months and years to complete their manuscripts. Many people participate in NaNoWriMo, but it can be a difficult process to take on if you have not prepared an outline or cannot keep within the time constraints of writing a 50,000-word novel in four weeks. Once you have finished your NaNoWriMo project, the next step involves contacting a qualified professional editor for content review, editing and proofreading. Megan Harris is a professional editor located in St. Louis and would be happy to discuss your project.